When juggling busy schedules, it can be incredibly hard to find a date when all of your child’s friends are free. To make sure everyone is available, once you’ve settled on a date, send out the invitations as soon as possible. It is sensible to do this at least four to six weeks in advance, but no less than three weeks. 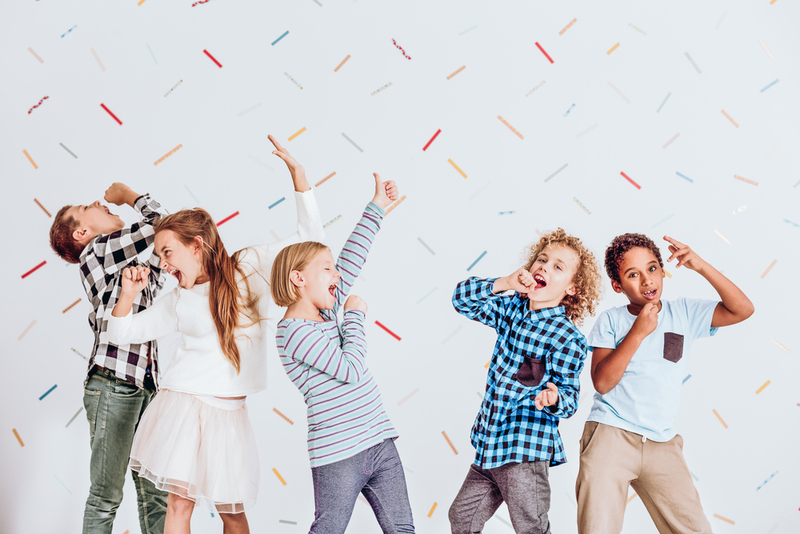 Deciding how long the party should last can be just as difficult, as children want their party to last all day and parents typically want it to be over in half an hour. However, the timing is wholly dependent on the age of your child and the activities you have planned. As a general rule, most children’s parties tend to last between one and a half to two hours; long enough to have fun and not get bored. Let’s face it, there is always some kind of competition between parents to see who can throw the best party for their son or daughter. 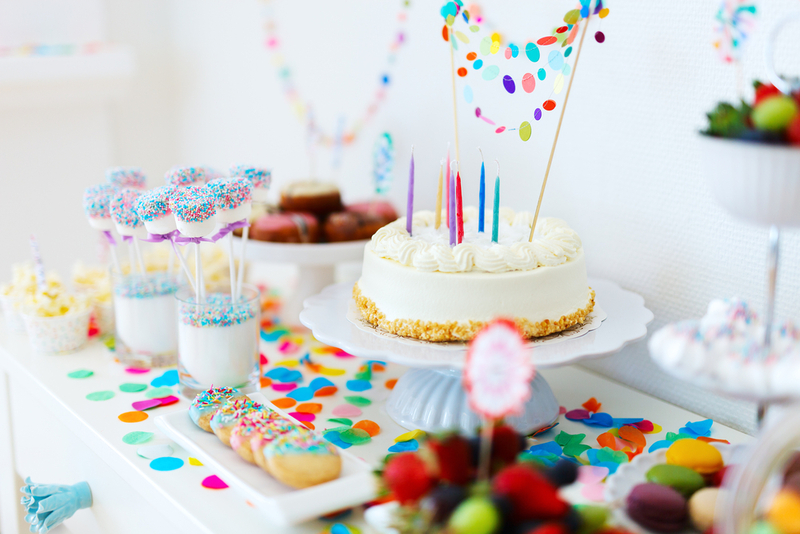 However, it is worth remembering that the most expensive parties aren’t always the most fun, so it is perfectly doable to host a birthday party on a tight budget. Ask your child what kind of party they would like to have, and suggest a few ideas within your budget to choose from. It’s important to get their input, as it’s their birthday party at the end of the day. A relatively cheap yet fun option, that doesn’t have to be expensive, is a disco at home. Once you’ve invited your guests and received RSVPs back, this will give you an idea of the amount of food you need to prepare, and the number of extra hands you might need. It is wise to assume that if a child is under five years old, their parents will stay. However, if they are over five, it’s not clear – perhaps make a note on your invitations for parents to let you know for catering purposes. Having a theme will help you decide what decorations you need, what activities to organise and if any entertainment is needed. The number themes you can choose from are endless, and can be anything from a disco, fancy dress or even something sports-related, such as football or crazy golf. 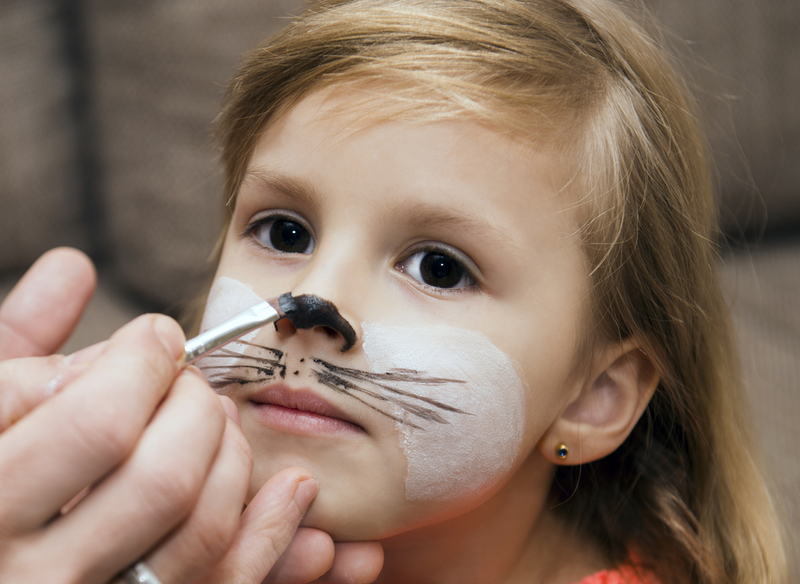 If your child decides to opt for a fancy dress theme, try to think outside the box. Instead of choosing the classic princess, pirate or superhero themes, consider asking them to dress up as their favourite game character, or getting them to dress up as someone from a specific historical time period, such as in Angelo Saxon costume or in kids roman fancy dress. The food you prepare will depend entirely on the time of day you hold your party, and whether you will display finger-foods or something more substantial. 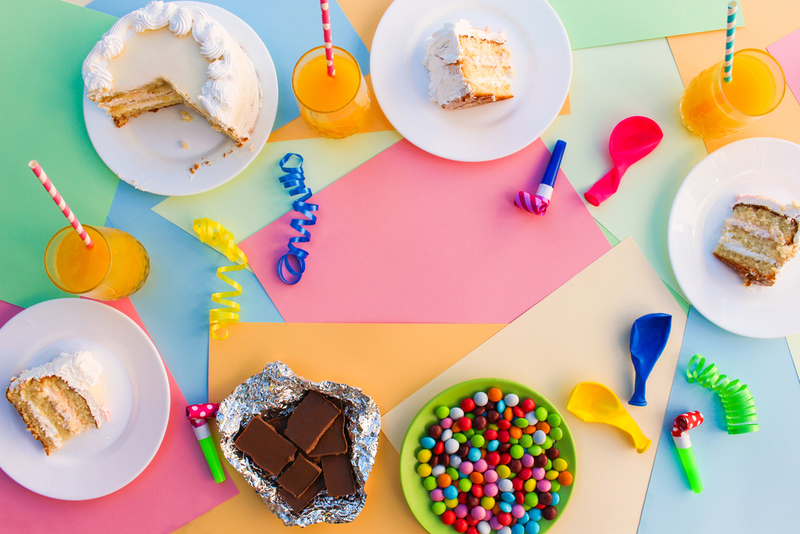 Of course, a party isn’t complete without a birthday cake or cupcakes, but for the main food, remember to keep it small and simple. When it comes to drinks, have some bottled water and no sugar added squash. Fizzy drinks aren’t a good idea, as this can make children very hyper and some parents are against this too. In addition, it’s a good idea to ask on the invitation if any children have allergies or intolerances, and try to cater for them where possible! Depending on your theme, entertainment can be expensive. If you can do it yourself easily, it is worth trying to save yourself forking out masses of money. However, it can add a lot of pressure – something you don’t want, so hiring someone for an hour or two can reduce the hassle considerably. It is worth noting, if you are looking to do the entertainment yourself, make sure you have enough planned for the entire duration of the party. Be creative! Start by changing up traditional games to suit your theme: for example, ‘pin the tail on the donkey’ can become pin the wings on the fairy, find golden pirate treasure using apples, or pass the parcel. In moments of madness when it gets too much, there’s always sleeping lions! If you decide to hire an entertainer for the party, ask around for any recommendations to avoid being ripped off or scammed – the last thing you or the children want! At the end of the party, it’s nice to say a little ‘thank you’ to the guests who have spent time with your child to celebrate their birthday. This doesn’t have to be much, just a card to say thank you and some small bits and pieces, such as sweets, chocolate and a bouncy ball. Set a budget and buy items in bulk and divide them between the bags – a quick sweep around Poundland will do the trick! 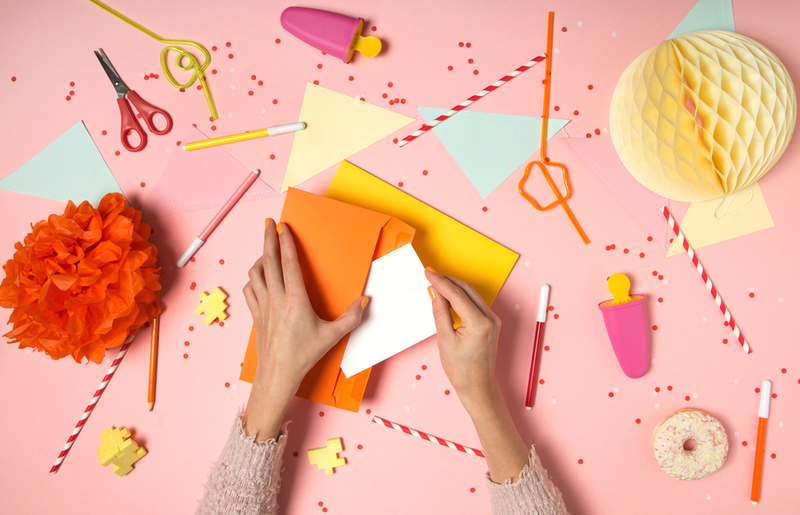 Decorating a space for your child’s birthday can be a lot of fun – let your imagination go wild! Décor can be as simple as balloons and bunting, or as elaborate as wall displays – as long as it stays within budget. However, remember that the children will make a mess, so it’s not worth spending a fortune on special custom-made accessories when you can get a much cheaper alternative at your local shop, or cheaper still, Poundland. You can also find some cool decorations online for a reasonable price, just don’t forget to factor in delivery time. Sites like dealsdaddy give you discounts every time you shop online. So, if there’s any advice to give, it’s to plan, plan, and plan some more! It might just be a children’s party, but for their sake you’d want everything to go to schedule. But, most importantly, remember to have fun – the parents and the kids! Disclosure: This is a sponsored post which includes sponsored links from OnBuy and DealsDaddy.